When it was announced that 2019 would be the Year of Tolerance in the UAE, the Sikh community in the country felt the palpable "respect and recognition for their faith", said the leader of the country's first Gurudwara. 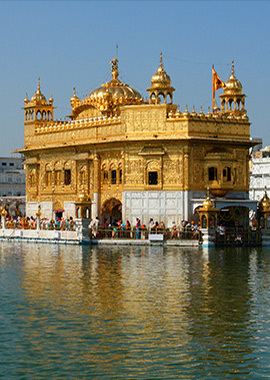 "Proclaiming the Year of Tolerance even goes beyond recognising faith groups, it also signifies inclusion - by encouraging everyone to observe the value of tolerance towards other religious beliefs, cultures and traditions," said Surender Singh Kandhari, chairman of the Guru Nanak Darbar Sikh Temple in Dubai, the first Sikh Gurudwara in the region. ..."We distribute approximately 1,500 meals per day. On special days and weekends, we distribute over 55,000 free meals to everyone," Kandhari said. 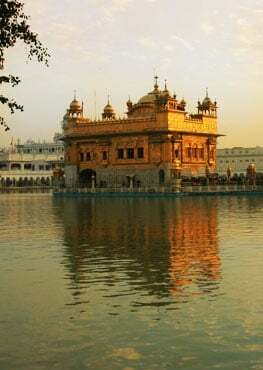 This year is significant for the Sikhs as it marks Guru Nanak Dev's 550th birth anniversary. "Guru Nanak Dev Ji has been an advocate of inter-faith harmony as evidenced by having a Hindu and Muslim constant companion throughout his lifetime," Kandhari said. "In honour of his 550th birth anniversary, we are planning an inter-faith programme in April, similar to the UN World Interfaith Harmony Day conference we had last February 2016. We are also planning a joint service initiative with the Church of Jesus Christ of Latter-day Saints in November 2019."